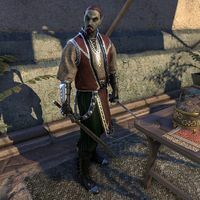 Fevyn Indarys is a Dunmer student who can be found sharpening a blade behind a table in the Temple Canton of Vivec City. He has no unique dialogue and cannot be spoken to. This page was last modified on 28 June 2018, at 21:49.